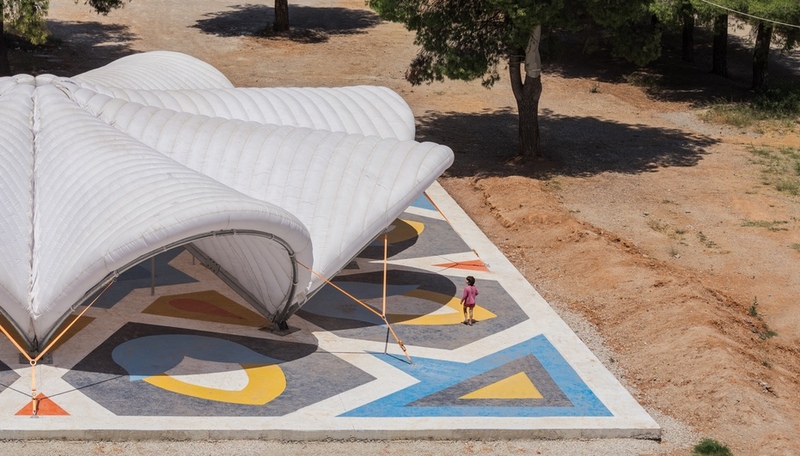 Designed by Italy’s ABVM Studio with input from the migrant community, the Maidan Tent is an easy-to-install gathering space currently being piloted in the Ritsona refugee camp in Greece. Two years after their initial proposal – and after multiple studies, visits with the camp population, and meetings with non‐governmental organizations and public and private bodies (including Arup Community Engagement, a non‐profit specialist section of Arup) – the first Maidan Tent has gone up in Ritsona. 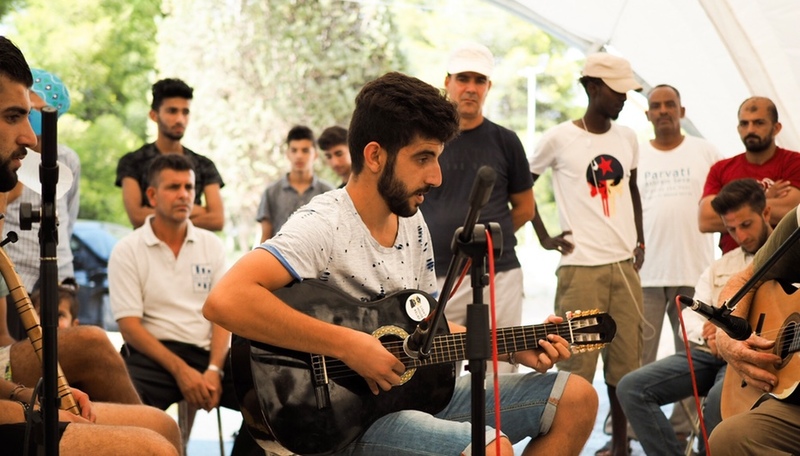 It is sponsored by the International Organization for Migration, an agency associated with the United Nations. The Maidan Tent is simple yet effective. 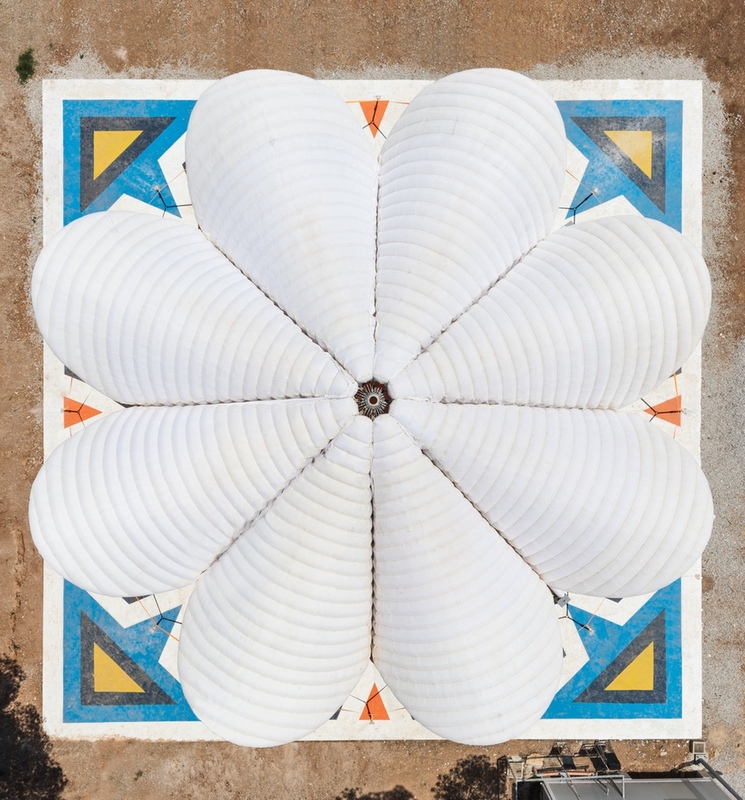 It’s an inflatable textile pavilion measuring 200 square metres and shaped like a blooming flower, its eight petals forming semi-private spaces and welcoming openings that are accessible from all directions. Inside, an inner circle forms an open public meeting place. 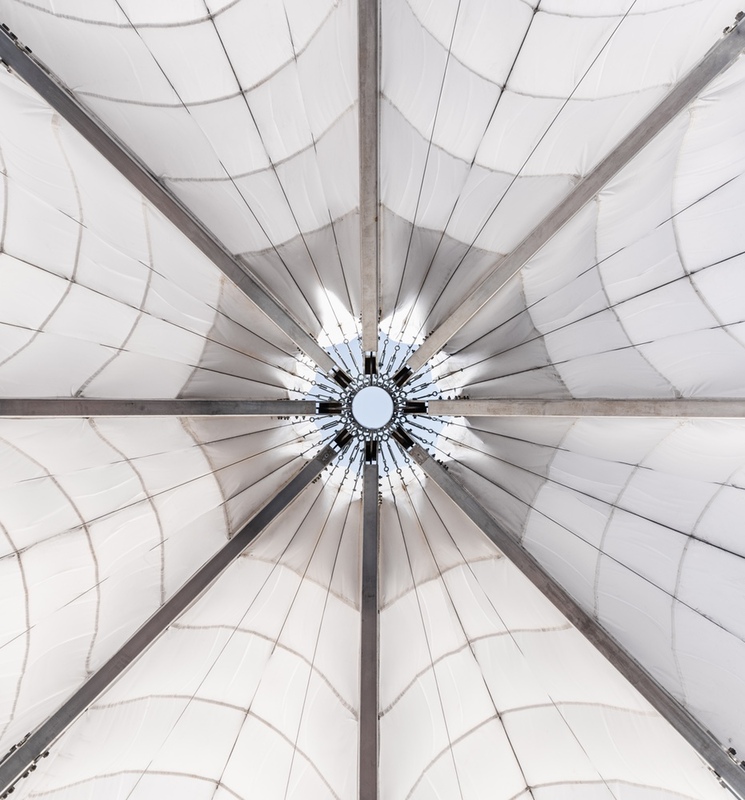 Supported by an aluminum and steel framework, the tent features a four-metre-high oculus at its centre to usher in ventilation and natural light. 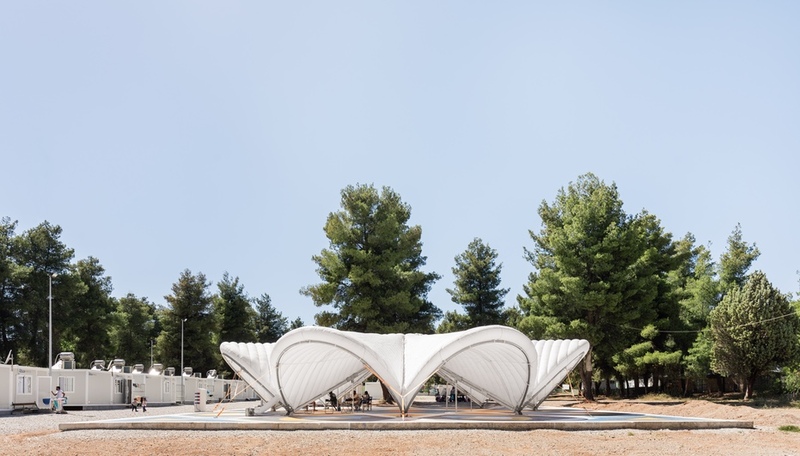 The easily deployable and collapsible piazza could be erected on any site and accommodate 300 people at one time. 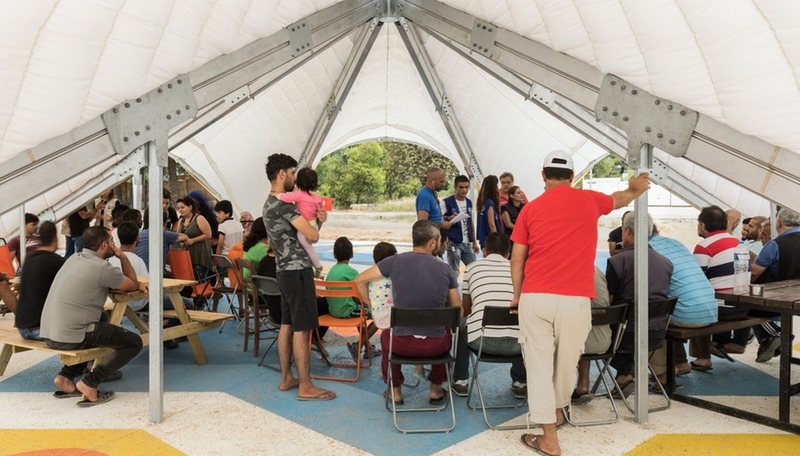 The designers interacted with the community to determine the tent’s possible uses and to elect a group of refugees with whom to consult on design. And that collaboration continues. So far, the tent has hosted videos of World Cup football matches and films in various languages. 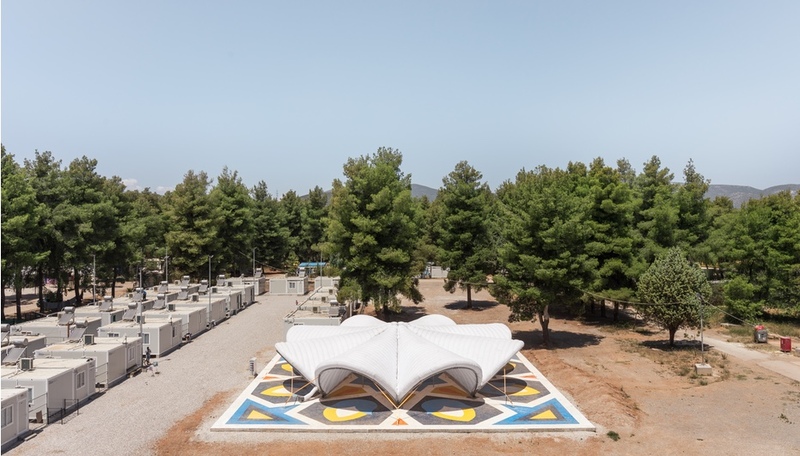 Ideas for future uses include a fruit and vegetable market “where local Greek producers can sell their products within the camp, in an attempt, among other things, to overcome the residents’ isolation,” says di Modrone.